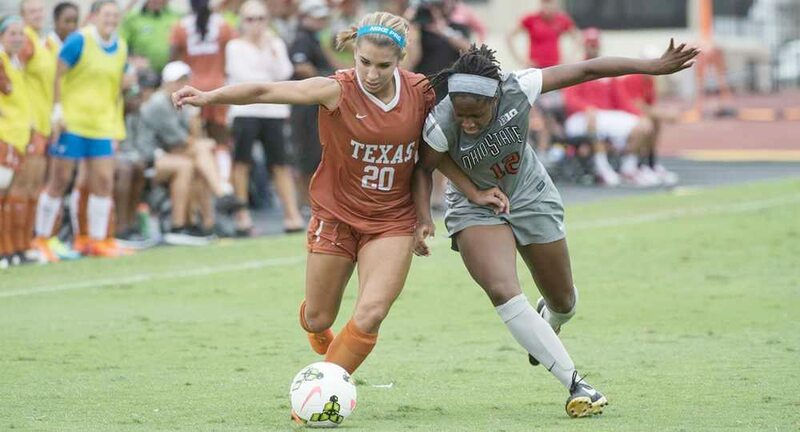 Freshman forward scored her third goal of the season in the Longhorns' 2-1 home loss to Baylor (photo courtesy of texassports.com). AUSTIN, Texas — Freshman forward Mikayla Flores scored her third goal of the season in the 86th minute, but that was not enough as the University of Texas women’s soccer team lost its last Big 12 game of the regular season, 2-1, to Baylor at Mike A. Myers Stadium. The loss dropped the Longhorns’ record to 7-5-4 overall and 4-3-1 against Big 12 opponents, while Baylor improved to 9-5-2 overall and 4-1-1 in Big 12 matches. Those records are significant because while the teams are tied for second place in the conference standings, Baylor has two more regular-season games against conference opponents, while Texas closes out its regular season with a home match against Montana.